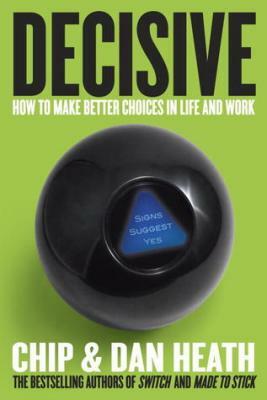 Decisive is the Heath brothers’ most powerful—and important—book yet, offering fresh strategies and practical tools enabling us to make better choices. Because the right decision, at the right moment, can make all the difference. CHIP HEATH is a professor at the Graduate School of Business at Stanford University. He lives in Los Gatos, California. DAN HEATH is a senior fellow at Duke University's Center for the Advancement of Social Entrepreneurship (CASE). He lives in Raleigh, North Carolina. The Heath brothers are the bestselling authors of Made to Stick and Switch. “A leader's most important job is to make good decisions, which—minus perfect knowledge of the future—is tough to do consistently…The Heath brothers explain how to navigate the land mines laid by our irrational brains and improve our chances of good outcomes.” -Inc.